If you are exploring employee advocacy and taking your company’s social media strategy to the next level, you’ll find value in this content. Learn more below about the employee advocacy best practices. With our digitally connected world, now more than ever are your company’s employees the most trusted source of information to their peers. 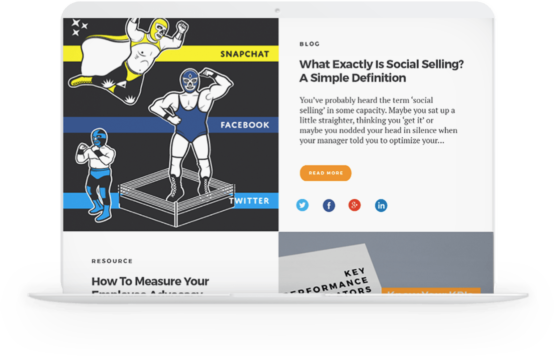 For example, this stat showed that 76% of individuals surveyed are more likely to trust content shared by “normal” people than content shared by brands. And there is a lot more data points around this too. Besides that, employees need to be more connected and informed of their organization, which can prove difficult with the various communication channels. This is exactly why employee advocacy programs exist. 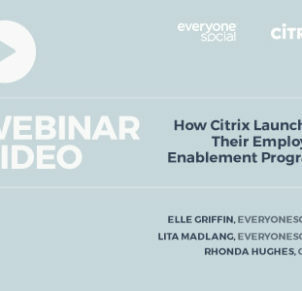 Employee advocacy programs centralize communications and social sharing in one place. Helping increase employee engagement, brand reach, productivity, and various other benefits. But like any new strategy and program, there are some best practices that will help ensure your continued success and growth. For any organization considering launching a program, you’ll want to follow some employee advocacy best practices to ensure success from the start. Employee advocacy can seem a bit intimidating at first, especially if it is your first go at this. However, we put together our simple employee advocacy best practices guide below for you. These will no doubt help you succeed and get your program running smoothly. Related: Looking for more reasons an employee advocacy program is valuable? Check out these eye-popping and interesting statistics related to various company departments. Since we have a few essential best practices for you, I’ve listed them out below so you can jump ahead to specific sections if you’d like. This is probably the most common step of any program or strategy, but it’s also essential to our list of employee advocacy best practices. What are your goals for a program? Or what is your company’s goal of investing in employee advocacy? What is it that you are trying to accomplish? The cool thing about employee advocacy programs, is they have multiple organization uses. Maybe it’s to solely focus on marketing teams. Or to help your employer brand and recruiting teams. Or, you eventually want to roll it out enterprise-wide as internal communication and knowledge sharing tool too. No matter what, lay out the goals and what you to want to accomplish with employee advocacy right from the start. Employee advocacy can only truly succeed when employees are motivated to become your company’s brand ambassadors. 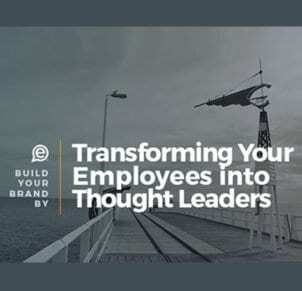 Since you are encouraging employees to share on social media, connect internally, and drive thought leadership, your team needs to value your culture before this can even work. Does your company offer professional development? 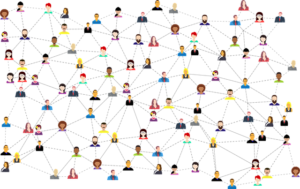 Do employees understand how employee advocacy also benefits them? Are employees valuing your mission and company goals? Does your organization trust and respect their management and executives? Related: The cool thing too is your company culture and grow even more with an employee advocacy program. Learn how Electronic Arts unified and strengthened its global corporate culture with employee advocacy. 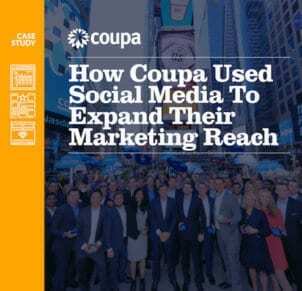 Download the case study. Without a trusted culture and confidence, adoption for any employee advocacy initiatives will be quite challenging. The good news is, many employees are already championing your brand and sharing content. Create a culture that can harness that energy and build more brand champions. Even though you should trust your employees, your company should always have social guidelines and basic policies in place. It should not be overly complicated and should be easily accessible for employees and new hires. These guidelines should be clear and not used as a scare tactic either. It’s really needed to help employees understand the company’s views towards social media, a code of conduct, to ensure social posts are in line with any compliance, copyright, and also for transparency. We’ve created a guide of some of the best social media policy examples and worksheet your company can use. Download your copy here. Without a strong content plan and strategy, your employee advocacy program is destined for adoption challenges. 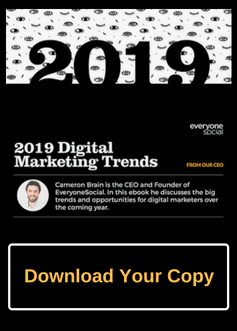 It’s important to connect with your marketing team to ensure consistent quality content can be fed into your program. But not just marketing content. Your employee advocacy program should include a mix of content from trusted third-party resources, sales content, employer brand content, and employee-generated or user-generated content. Without a great content plan or mix, your program will become a spam sales machine. This is NOT what employee advocacy is about. Adoption, retention, and interest will fade fast by employees because they do not want to spam their social networks. You’ll get the most out of your initiative by using an employee advocacy platform that is simple, easy to use, engaging, and does not complicate your employees work-lives. Employees have enough job duties and tasks, so the platform you choose should make their advocating lives easier, not harder. It’s a reason EveryoneSocial is the preferred employee advocacy platform for large and enterprise companies. We’ve built a program with the highest engagement rates and have never lost a client to our competitors. We have numerous integrations, iOS and Android mobile apps, a chrome extension, and we are the original employee advocacy provider to have a built-in Salesforce application. Our goal is to make an employee advocacy platform an easy part of a busy professionals life. If you are interested in learning more about our customers and platform, schedule your demo with us today. Similarly, by providing the right technology, you also want to provide ample training. This might be one of the most important employee advocacy best practices. Internally, your company should hold sessions about social media, the purpose of a program, how it benefits employees professionally, how it benefits the company, on-boarding, etc. But, just as important, your employee advocacy provider should be a partner in your success. 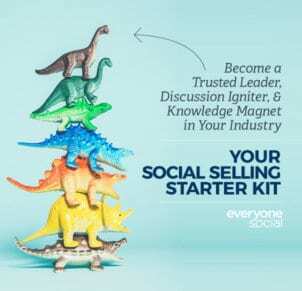 At EveryoneSocial, you’re not just buying a solution, you’re buying success. We provide on-going training and support, as well as work with ways to help grow your program. It’s why we’ve had clients go from a few hundred active users to thousands and even company-wide. We want to be your partner, not just a technology solution that wishes you luck. A great way to keep engagement and adoption rolling is to ensure employees know the impact they are having on the brand. Acknowledging the efforts of your brand advocates will keep those invested in a program and encourage others to participate too. Your company can gamify the process with leaderboards and points. That can be used to offer incentives, rewards, or have fun contests. Rewards do not have to be monetary, it could be an employee highlight in the company newsletter or corporate socials, lunch with the CEO, free lunch for a week, etc. The way you choose to incentivize is endless! But a word of warning, never lead with gamification only. This can cause employees only to spam their networks and messages trying to get to the top of the leaderboard. Again, not what employee advocacy is about. Like any program or strategy, you need to be measuring ROI and how a program is helping your goals. This should be monitored and reviewed on a recurring basis as well as an annual basis since the goals and priorities of a program may shift. But there is also more you can be monitoring too. It depends on what your priorities and main focuses are for your program. For instance, if it is sales based, you’ll want to look at the impact on engagement, won opportunities, lead quality, etc. It’s important your employee advocacy program has reporting capabilities and works with you on measuring your results and impact on your business. In our list of employee advocacy best practices, employees should be the main focus of it. The focus should be on how it benefits employees and this overall initiative should be an “employee-first” mindset. Since that is how your program should be positioned, you also need to encourage employee feedback and involvement in the strategy. Employees of all areas of your business will have good ideas and feedback that may be overlooked. Plus, giving them opportunities, acknowledging, and implementing their feedback will boost their engagement in brand advocating. And it can increase the number of employees who stay involved in your employee advocacy program long-term. Following up that you want to get employee feedback and involvement on the employee advocacy initiatives, you also want them to have their voice in what they share. A big part of employee advocacy programs is sharing awesome content. As mentioned earlier, content needs to be a healthy mix, not just self-promoting brand spam. For some social shares, it might be important for an Admin to provide copy or guidance to a specific piece of content. But, in many instances, your company should encourage employees to add their own voice and insight into what they share. Authenticity goes a long way and each employee may have their own idea or opinion to add. Otherwise, you have potentially thousands of employees all with the same copy written like a corporate robot. Not what your employee advocacy program is about. Many companies might have a hashtag or line of compliance to be added, which is totally fine. But don’t box employees completely out from including their own thoughts. Hopefully, the above employee advocacy best practices will help your company be successful with a program and strategy. It’s important to remember that employee advocacy is not something you rush through, or you’ll run into some barriers that make your program fail. Company leaders might expect the world overnight with employee advocacy and it just doesn’t happen. Success can happen quickly, but it’s important to understand that employee advocacy is a program where there is no end. And your organization’s employees are the brand, let them flourish and advocate effectively. If you want to further support your best practices, this article is short, but a good one from Gartner: Launch an Employee Advocacy Program That Works.